So who are Nightingale Strings? Charles has been repairing stringed instruments since his schooldays when to irritate his woodwork teacher, he insisted on building a guitar instead of a bookcase! He progressed to be a professional guitarist playing in a wide variety of groups from dance bands, through blues to country music and beyond. 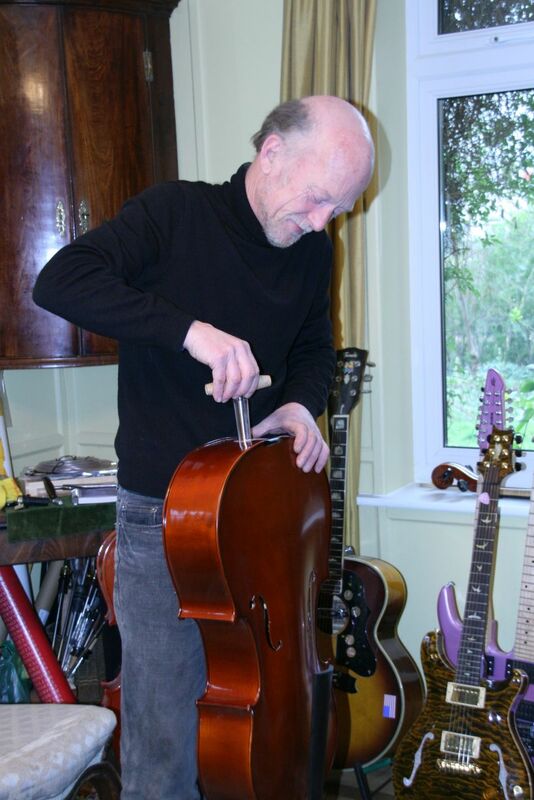 He has 35 years experience in the music industry selling, hiring and repairing not only violins and cellos, but also guitars (electric and acoustic), banjos, mandolins, banjoleles and all those others oddities lurking in people's attics. 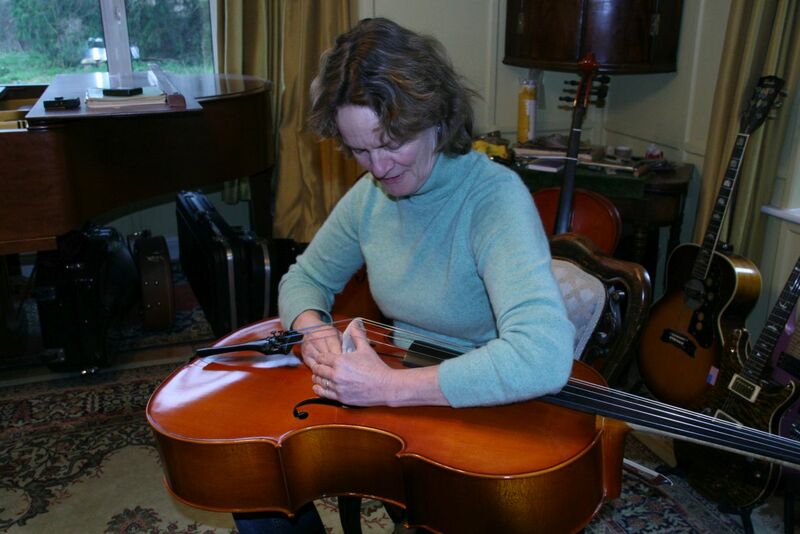 Charlotte has been playing the cello since the age of 7 and comes from a family of professional musicians. After attending the Royal College of Music she joined the Orchestra of the Royal Ballet and subsequently the BBC Northern Symphony Orchestra. 25 Years ago she moved to Guildford and started a new career in teaching which continues today in Somerset. Many are the pleasures and rewards to be had from seeing pupils progress, but frequent is the irritation at the overpriced, poorly set up instruments they have to struggle with. Also accidents do happen at the most crucial moments, and Charlotte was constantly frustrated at being unable to help distressed pupils who had damaged their instruments just before an exam, a performance, or some other important event. 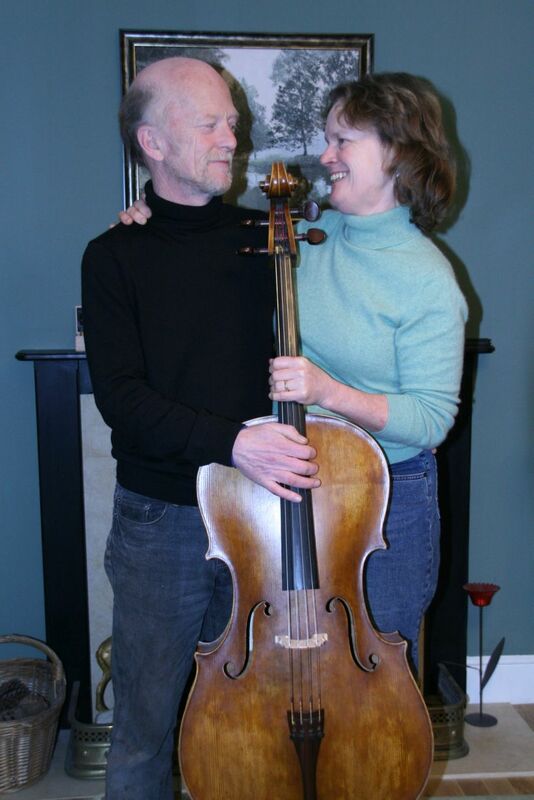 Of course the natural outcome of a serendipitous meeting with a talented repairer in 1999 was the birth of...yes, you've guessed it... Nightingale Strings. We specialise in the sale and rental of cellos and guitars but do sometimes have other instruments available. © 2016 Nightingale Strings. All rights reserved.